On December 4 the Russian Nobility Association in America celebrated their annual Christmas party in the ballroom of New York’s Cosmopolitan Club. 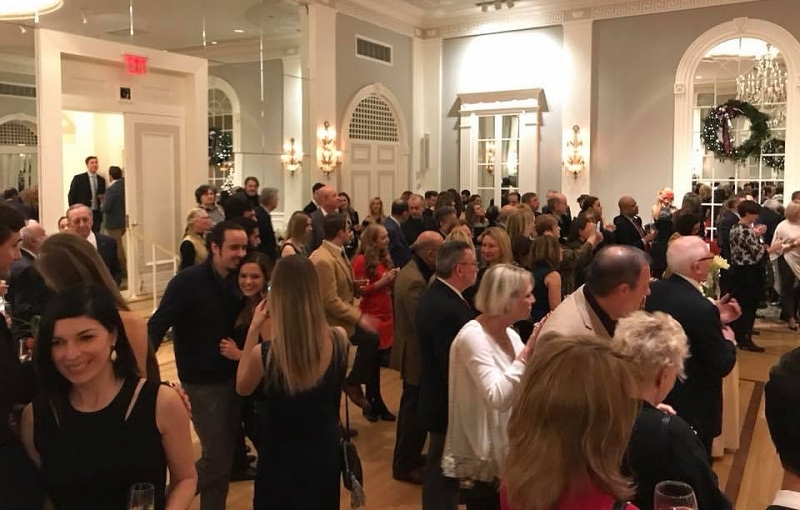 The event, which included festive refreshments and hors d’oeuvres, featured live music, and serves as an annual “thank you” event for the members of the Association, and our many supporters over the previous year. Mr. John L. Pouschine, the new president of the RNA, welcomed the guests, and paid a special tribute to the late Prince Vladimir Galitzine, the RNA’s most recent president. He introduced the newest officers of the association, including Mr. Peter Tcherepnine who will serve as Vice-President & Treasurer, and Mr Alexandr Neratoff, who will serve as Vice-President & Secretary. Ball Chairwoman Mrs. Igor (Olga) Miklashewsky reminded all the guests of the upcoming ball on May 10th, 2019, and wished everyone a very happy Christmas and New Year. Congratulations to our raffle prize winner!